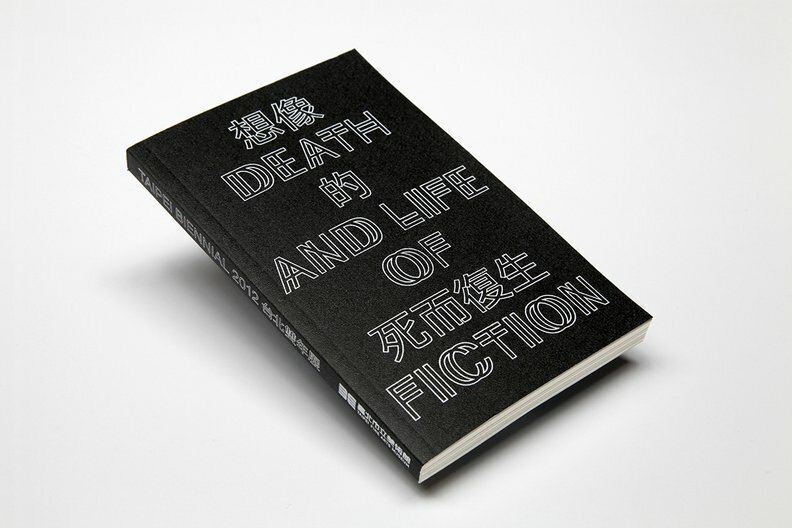 Zak Group has designed and art directed the visual identity and exhibition design of the Taipei Biennial 2012 entitled Modern Monsters / Death and Life of Fiction. This eighth edition of the Biennial invokes the ancient Chinese monster Taowu, a shape-shifting creature that sees both past and future, as lens through which to read modern Chinese history. The visual identity of the Taipei Biennial 2012 is conceived as a constantly shape-shifting expression of the exhibition; rather than taking the form of a static symbol or logo the identity appears as an ever-changing image. 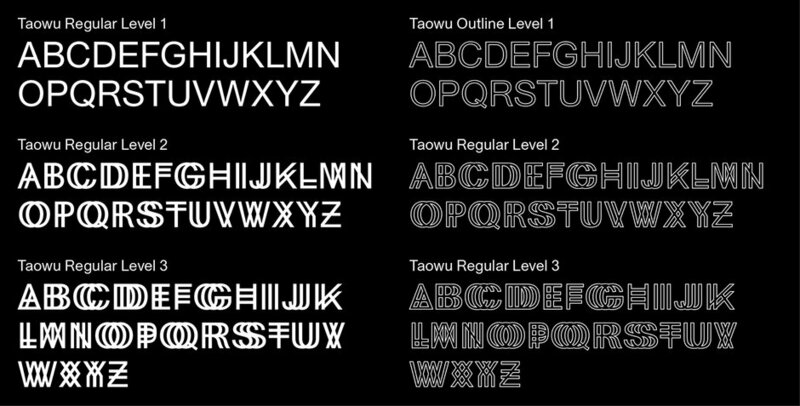 A new typeface, Taowu Sans, designed by Zak Group, is used throughout the exhibition, weaving together the dual languages; doubling, mirroring and multiplying language itself. 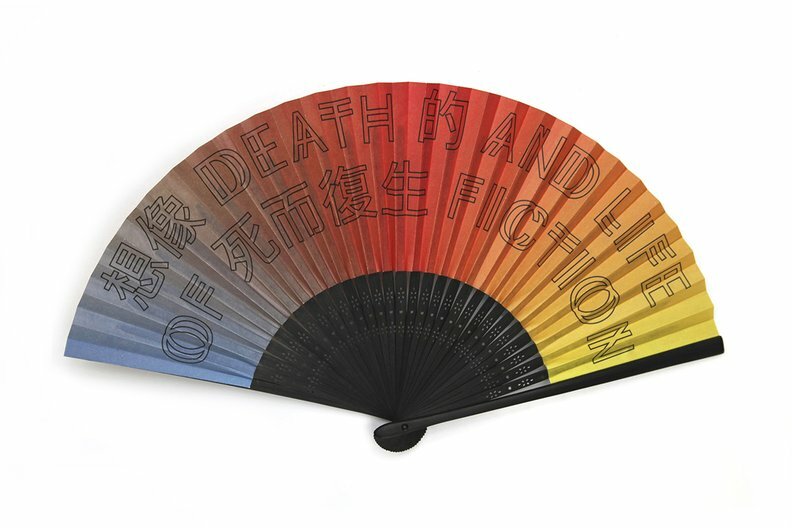 A typographic argument; Chinese and Latin characters are interwoven, suggesting multiple, context specific readings. 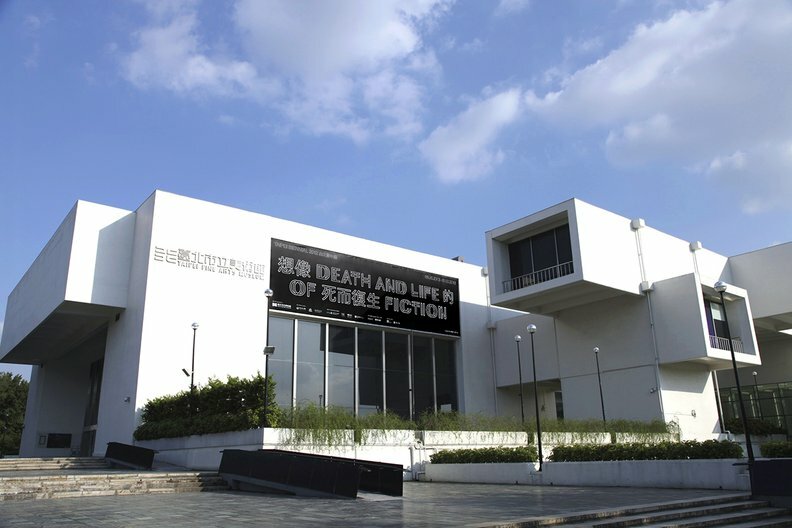 Described by curator Anselm Franke; “The design of the Taipei Biennial becomes a playful, yet provocative invitation into the ‘underworld’ of the official record of modernity”. 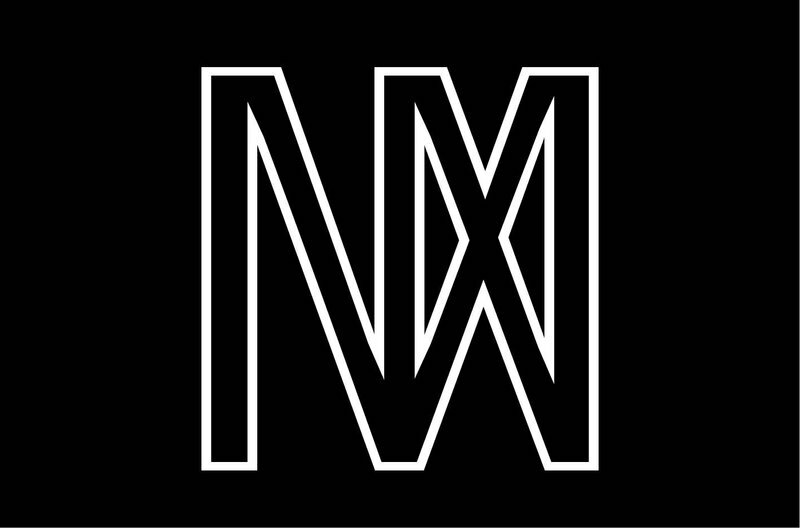 Ripe with metaphors and powers of evocation, the design is a game of symmetrically mirroring opposites: dark and light, past and present, fiction and reality. 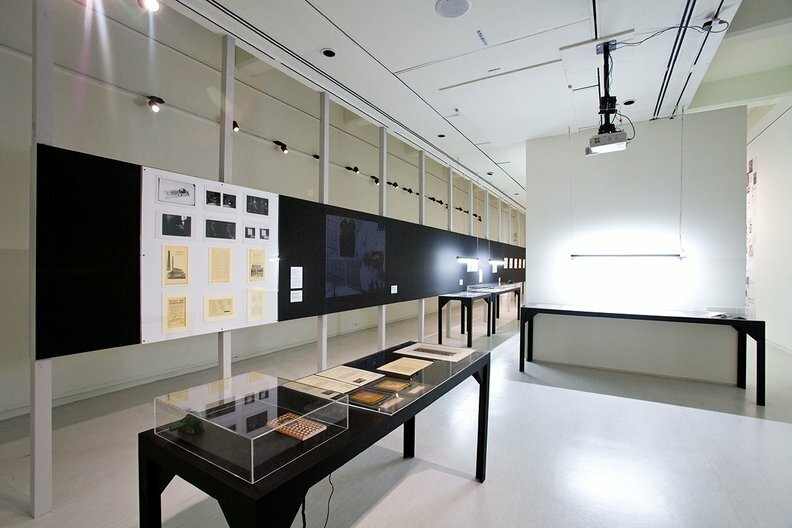 The exhibition design, spanning the two sites of the Biennial, was conceived in collaboration with architects Co DKT. The Taipei Biennial website was programmed by Studio Scasascia. 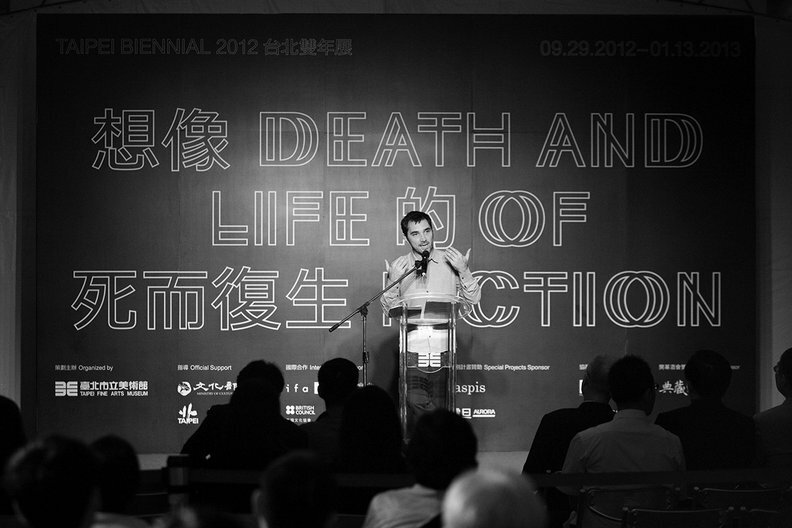 Introduced by Alison Devine, Director of the British Council Taipei and Hai-Ming Huang, Director of Taipei Fine Arts Museum Zak Group partner Zak Kyes presented the Taipei Biennial International Lecture “Working With… (Monsters, Institutions and Others…)”. 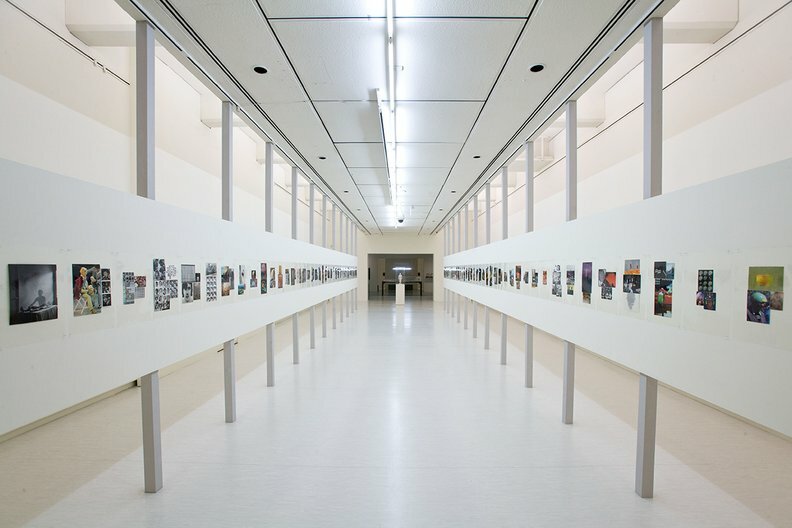 For this large scale, multilingual project Zak Group was also commissioned to design the exhibition’s dual-language guidebooks, an online and printed journal containing related essays, the website and the Taipei Biennial 2012 campaign on display throughout the city of Taipei.